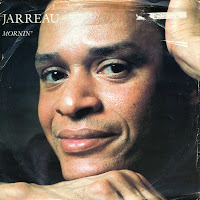 Released as a single from Al Jarreau's 1983 album 'Jarreau', 'Mornin'' is a very laidback easy listening jazz ballad, which lyrically displays all the good things in life. The song was the embodiment of positivity, which struck a chord with many people in various countries. The single hit number 21 in the US Billboard Hot 100 chart, number 28 in the UK singles chart and number 16 in the Dutch Top 40. Al Jarreau was born on March 12, 1940 in Milwaukee, Wisconsin (USA). In the late Sixties he made a name for himself in the jazz circuit. In 1975, Jarreau was working with pianist Tom Canning when he was spotted by a representative of Warner Bros. Records. His debut album was soon released. 'We got by' gave him international fame. 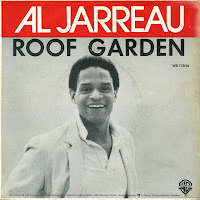 His commercially most successful album was 'Breakin' away' (1981), featuring this single, 'Roof garden'. It was released in the Netherlands i nFebruary 1982 and reached number 2 in the Dutch Top 40. I bought this single while it was in the chart. The poster sleeve of this record is actually a promotional tool, with small adverts in Dutch and French about Christopher Cross, George Harrison, Randy Crawford and seven other artists, who at the time of the release recently had new albums out.